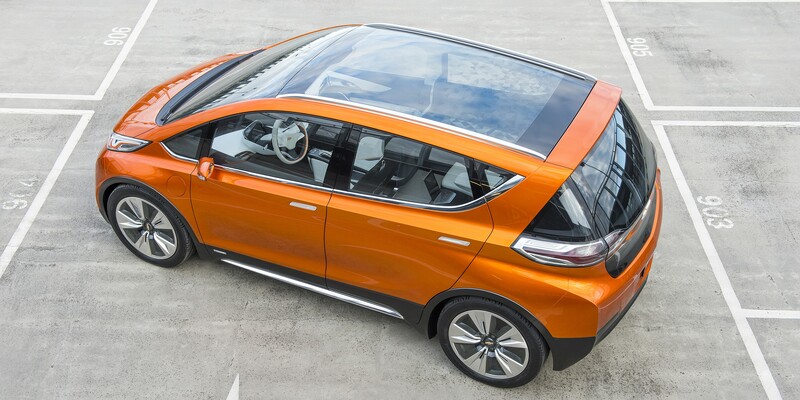 Since the unveiling of the Chevy Bolt at the 2015 Detroit Auto Show, there’s been some scepticism about the planned nationwide availability of the all-electric vehicle, presumably due to GM’s track record of producing compliance cars when it comes to electric vehicles. The Chevrolet Spark EV is primarily available in CARB states in order to comply to regulations and the company recently confirmed that the 2016 version of the Volt will also only be offered in CARB states. It is a welcomed commitment, but the comment about being an “alternative to the luxury long-range EVs” is a arguably a stretch. I doubt the Bolt is meant to compete with Tesla’s Model S. There’s a persisting mentality that all electric vehicles compete with each others and it is worrying that the same mentality is found within GM’s management. No one expects the GM Sonic to compete with the Mercedes S-Class, the same way no one expects the GM Bolt to compete with the Tesla Model S.
The Bolt is expected to hit the market in late 2016 at a price point of ~$37,500 before incentives with a range of over 200 miles on a single charge.